Marjorie returned from her time abroad determined to serve her community. 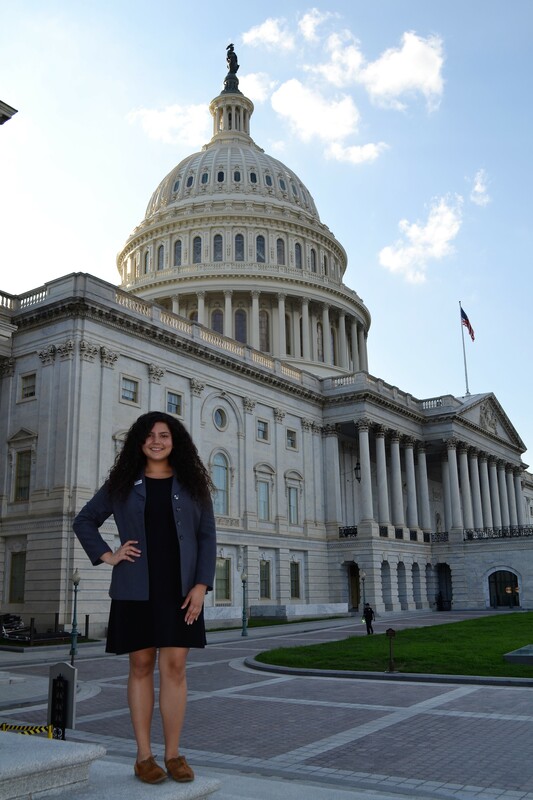 She applied for the Congressional Hispanic Caucus Institute’s (CHCI) Congressional Internship Program, which connects underrepresented undergraduate students with Congressional offices in Washington, D.C. The program’s goal is to advance the Latinx community through civic engagement, social responsibility, self-empowerment, and promotion of community and Hispanic culture. Marjorie was selected as one of the 30 participants for a summer 2018 internship and interned with Congressman Lloyd Doggett’s team from Texas District 35. Marjorie is now completing her degree in Communication Sciences and Disorders with a focus on Speech and Language Pathology at the University of Texas at Austin. In the meantime, she is helping to register voters and has set her eyes on a larger goal – one day representing Texas District 26 in Congress.